This is an important article for us to share with our readers because it creates international participatory engagement with potentially independent cultures and offers indigenous nations authority and rights over their territories. The problem we have detected is that indigenous peoples who fail to take up their rights and become sustainable through active stakeholder participation in the United Nations SDGs and Agenda 2030 risk being left behind and having their nation-state control their territories and operate in the stead of territorial concessions. Learn more about becoming a stakeholder in the United Nations Global Goals for Sustainable Development by becoming a member with Globcal International. A new UN manual gives more say to indigenous peoples in development projects that affect them. 10 October 2016 – The United Nations agricultural agency today unveiled a new manual that seeks to ensure that indigenous peoples, custodians of more than 80 per cent of global biodiversity, are able to freely give or deny their consent in development interventions that affect their natural resources or their way of life. 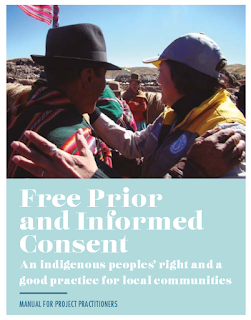 The UN Food and Agricultural Organization (FAO) Manual on Free, Prior and Informed Consent (FPIC) outlines essential steps that should be followed so that Indigenous Peoples are able to participate in a manner that is free of coercion and with the necessary information in a development project – from its design to sharing its achievements after it has been completed – prior to any decisions having been made. “None of us would allow someone to come to our home and start any activity of any kind without our agreement,” said Marcela Villarreal, Director of FAO Office for Partnerships, Advocacy and Capacity Building, in a news release today, explaining the concept of FPIC. “It is shocking that in the 21st century, [there is an] underlying understanding that there are different rights for different human beings. […] This is de facto marginalization by dividing rights for first and second class citizens,” she added. 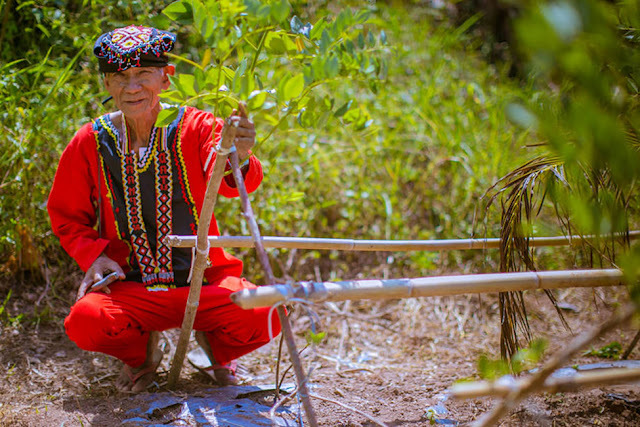 According to FAO, there are about 370 million indigenous individuals living in more than 90 countries, estimated to make up 75 percent of the world's cultural diversity and speaking well over half of the world's 7,000 surviving languages. However, over the past decades, they have been facing mounting challenges related to their livelihoods, respect for their rights and spiritual beliefs, and access to lands, natural resources and territories. Furthermore, mounting pressures from some extraction industries in some parts of the world are placing them at great peril. FAO said today that a constant variable in all the actions that lead to forced displacement and destruction of their natural resources is the lack of respect for their FPIC right. The right of Indigenous Peoples to FPIC has also been acknowledged in the UN Declaration on the Rights of Indigenous Peoples, adopted by the General Assembly in September 2007. The importance of indigenous peoples' traditional knowledge systems and their contributions to the achievement of the Sustainable Development Goals (SDGs), as well as in combatting climate change is receiving greater attention. This point was noted by UN Secretary-General Ban Ki-moon in his address to the Arctic Circle Assembly this weekend. FAO also highlighted this importance. “Additionally, by protecting forest resources, many indigenous communities help mitigate the negative impacts of climate change,” it added. Publisher's Note: This article was published from the United Nations News Center to inform our members of current activities and opportunities with the United Nations. The information in the article presented may not be valid for all indigenous nations or tribes because of current government or state treaties with some tribes as dependents, it may be necessary for those who are subject citizens or national residents to organize cooperative businesses that can enable them to operate independently to overcome their nation or state with understanding. Those interested in developing balanced international authority and claiming their international rights under the Declaration on the Rights of Indigenous Peoples should contact Globcal International to learn how to become more autonomous and sovereign to represent themselves better within the international theater.